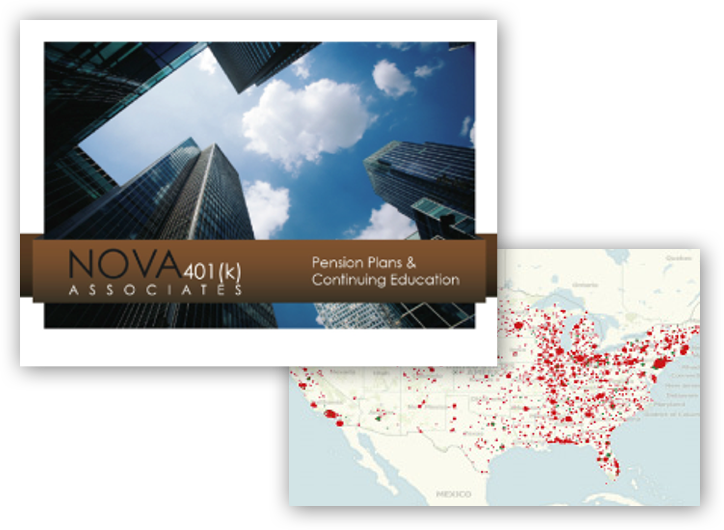 Weber has helped key distribution partners including financial advisors, insurance agents and affinity organizations as they position, message and go to market with Nationwide’s full suite of financial, commercial and personal lines products. We’ve also helped equip the field sales teams that support these long-standing relationships with innovative sales strategies and ideas. On a subscription basis, we developed and delivered a series of engaging multimedia educational and sales campaigns which enabled the sales teams to increase appointments and generate qualified leads. 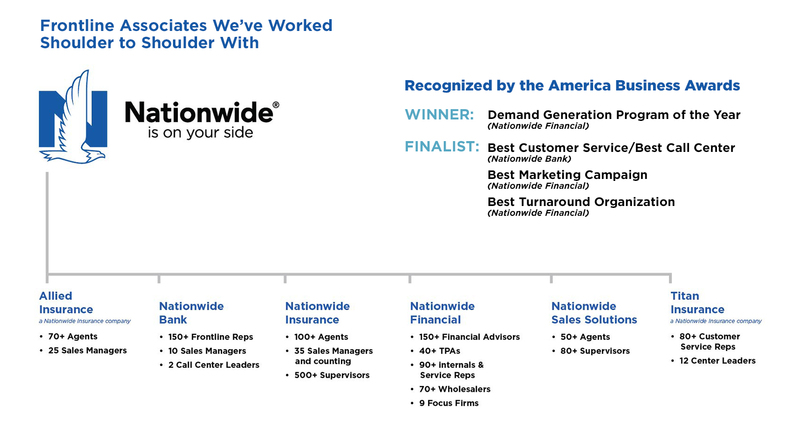 We’re Nationwide’s go-to resource for more disciplined and customer-connected frontline sales, marketing and service processes. Weber has worked across all lines of business, from indirect to direct and from banking to back office, to help field sales, contact center and back-office claims and servicing teams connect better to the needs of Nationwide’s members and partners. We’ve worked in the trenches with more than 400 field sales and 450+ contact center sales, service and operations leaders and frontline associates to help them connect “on your side” in their management, sales and service delivery. In the midst of complexity, we’ve helped Nationwide simplify its marketing processes so the company could focus on the right strategies with the right distribution partners and customers. 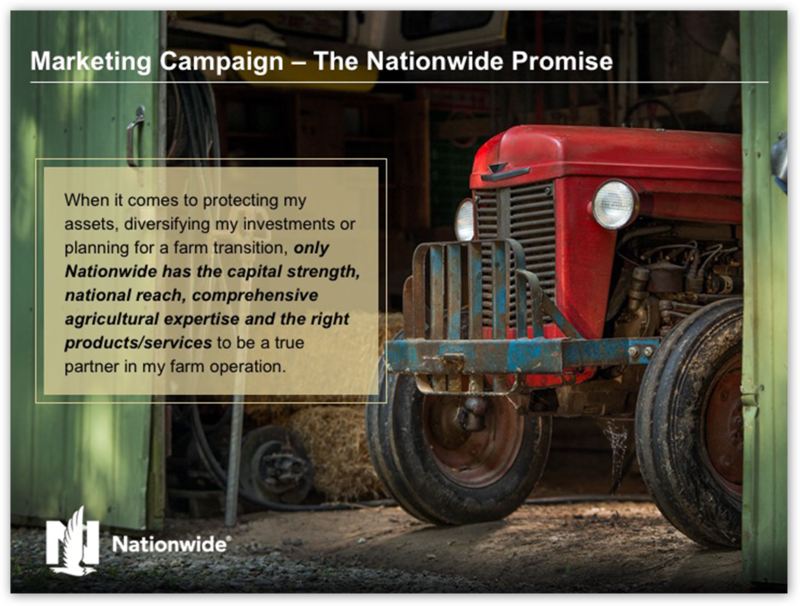 By working collaboratively with Nationwide’s key sales and marketing leadership, we’ve helped establish marketing prioritization guidelines, added structure to the marketing development process, and helped redefine roles and governance. “Reaching across the aisle” within marketing and sales is one of our core strengths, and we brought it to bear in helping Nationwide simplify, streamline and prioritize key marketing processes across multiple lines of business serving multiple channels, partners and customers.